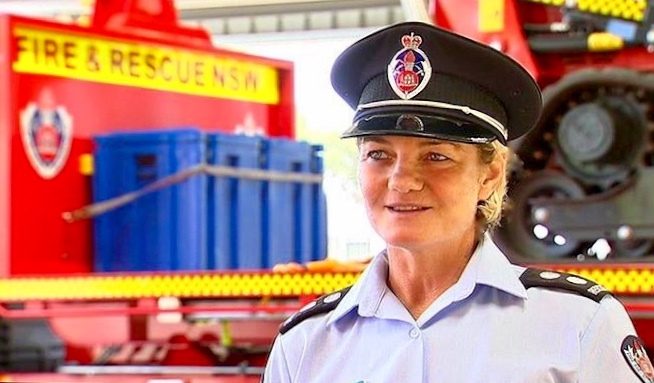 "While a wildfire's not worth spreading, the need to increase the number of women, LGBTI people and different ethnicities in the Australian fire service is an idea worth spreading! And your life could just depend on it!" Bronnie tells the audience. "My name is Bronnie Mackintosh, and I’m a Station Officer with Fire & Rescue, NSW and a 2016 Churchill Fellowship recipient," she continues. "The fellowship enabled me to travel around the world investigating progressive fire services - and I found they all had one thing in common - their pursuit of workforce diversity. "Unfortunately back home, we are falling short. Less than 5% of the operational workforce of urban fire services are women, and less than 2% are from ethnically diverse backgrounds. Yet, research is telling us that we are more effective in keeping the community safe when we look, speak and think like our community stakeholders. So this is my idea worth spreading – to create more diversity at all levels in the fire service, which should lead to both a more capable, public-safety service and a more connected and engaged, and therefore safer, community. "In helping my idea along, public perception of firefighters has to change, too – so stop thinking tall, white Mr November on the firefighters calendar and start thinking Captain Capability! Importantly, too, the public needs to know our role is much bigger than fire. We fight fires 7% of the time, but there are four phases in keeping people safe, and fire-fighting (the response phase) is just one of them. We play equal roles in prevention, preparedness and recovery. So the job is much broader than people may think. "So next time you see a fire truck flying past, think about how it’s a mix of capabilities that provides effective problem solving, that it’s diversity of natural and acquired attributes in firefighters that keeps us connected to you – our community, whose safety and wellbeing is our mission – and lastly, think about the broad range of activities firefighters do. "Hey, and why not consider this as a fantastic career option for you or others in your community?